Dr. Praveen Mehta has been practicing dentistry since 1972. He and his son, Dr. Arjun Mehta, have recently upgraded the facility to incorporate the latest advances in the dental field. They maintain a conservative philosophy towards dental therapy and blend mainstream with holistic dentistry. They practice according to the principles of evidence-based Dentistry while using state of the art technology. They have a warm, friendly, relaxed personality that easily allays the anxieties of patients and makes the dental experience less traumatic. The practice has expanded through positive referrals and now the patient base encompasses the tri-state area. Dr Praveen Mehta and Dr Arjun Mehta offer a wide range of treatment options from cosmetic veneers, crowns, implant restorations, gum surgery, fillings, extractions, dentures, root canals, nightguards, and cosmetic teeth whitening. The practice is clean, ethical, compassionate, and treats every patient with care. Dr. Praveen Mehta is a NY state licensed dentist of 32 years. 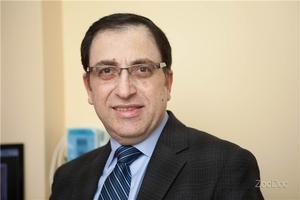 He received his Dental training from NYU Dental School and started his practice in Bay Ridge in 1983. Dr. Mehta is a member of the Academy of General Dentistry and the Indian Dental Association. Dr. Arjun Mehta is a NY state licensed dentist. He received his degree from New Jersey Dental School and then completed his residency from Hackensack University Medical Center. Dr. Mehta has an Associate Fellowship in Dental Implantology and is a member of the Academy of General Dentistry and the American Dental Association.